Hey there lady! I love the decals, especially the one that goes around the light switch. Simple change with a big impact. I love these designs. Effortless presence. How wonderful! love the one on the fridge so much! perfect! just what i was looking for!! yes, yes, yes. The first one really speaks to me! I am loving them !! 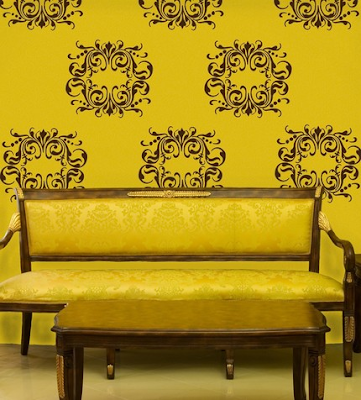 i am looking for wall decals too and i will go check this place out. 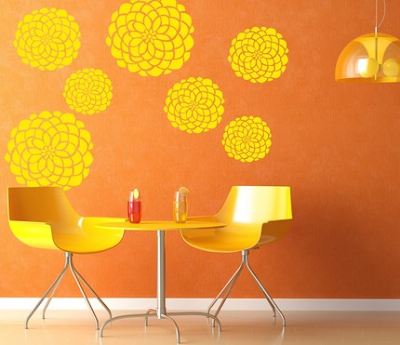 Love the wall decals! Thanks for the info! The photos are great! I am always looking for great wall art! Love your blog! The yellow and orange dining area woke me up! 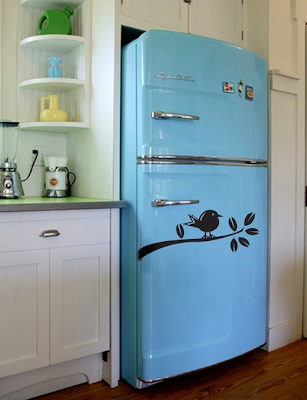 Fantastic =) I also love the bird on the blue fridge. 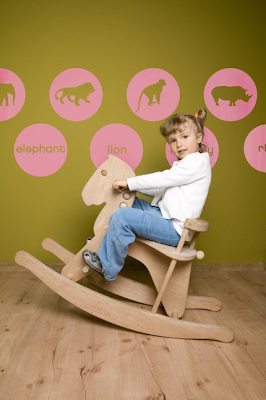 I've had my eye on decals for the nursery for some time now and these are among the best of the bunch. Thanks for posting!! Great Post!! I'm a huge fan of decals! I love them all!! 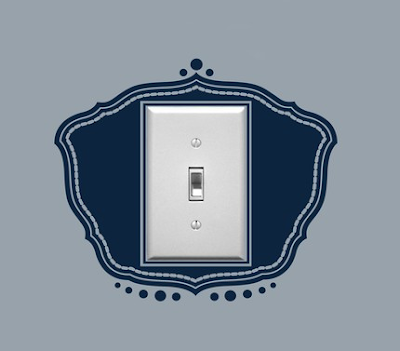 Very cool - love the light switch idea! I didn't even know I was looking for wall decals until this post. Flipping thru some old Domino mags I came across an image I flagged for future use. I was thinking about doing stencils but now I'm going to go the decal route instead thanks to you! Saved me a lot of time. Happy to see this company does custom orders. That vintage fridge would be amazing with no graphics on it at all!